A great trip requires good planning – especially if you are only going to have a couple of weeks to enjoy your trip to Europe. Luckily, the rail system for much of the continent is very well-developed and if you want to go car-free while visiting, it’s easily done. The Deutche Bahn site is a great place to start. It’s available in English, and if you’re curious about how much a given segment will cost, or how long it will take you can plug-in your destinations and start planning from there. If you’re thinking about purchasing a rail pass, there are several to choose from, depending on how long you will be traveling, and in which countries. Just like airlines, many rail sites run special offers and promotions, so spend a little time reviewing them, and you might end up saving more on your trip, or even changing destinations if a great offer is available. Often you will save money by buying single trip tickets at the station, and it can leave you with more flexibility in your schedule in case your plans change. Pay special attention to the type of train listed on your ticket, as several types of trains go to the same destination, but fares vary depending on how fast you want to get there. For example, a trip on an RB (Regional train) will typically be lower in cost as it is a slower train with more stops than an ICE (Intercontinental Express). If you get confused, just remember that in Germany RB is the red train and the ICE is white. If you accidentally board an ICE train when your fare is for the RB, you may be required to purchase the upgrade on the train from the conductor, and it will cost more than if you got it right the first time. For travel in Belgium, refer to the national rail site Belgian Rail. In the Netherlands, it is Nederlandse Spoorwegen, and for Spain go to Renfe, the site of the Spanish national railway. All sites are available in English. I especially enjoy travelling by train for the convenience of being able to relax and let someone else do the driving. I don’t have to worry about misunderstanding traffic signs, getting lost and driving around in circles, or looking for parking. Also, many hotels will charge extra for parking, and the money you save on parking can pay for lunch! 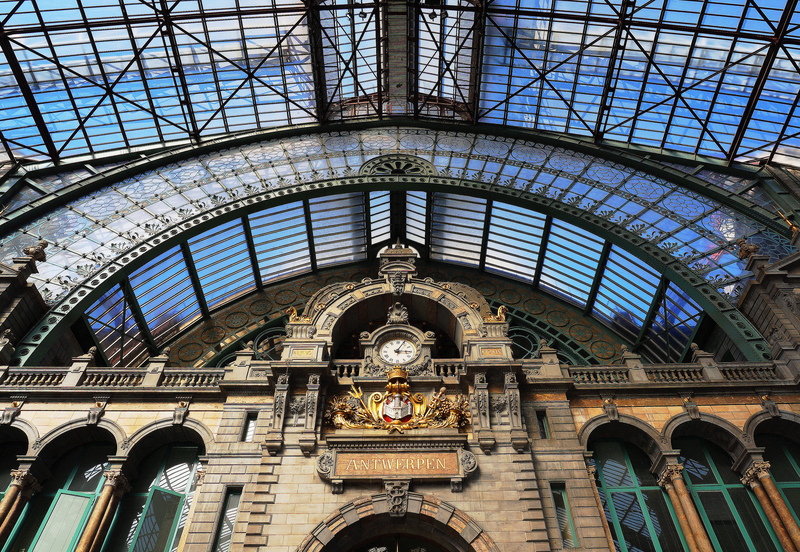 When you take the train to the central station of your destination it will usually deposit you right into the center of the city, which makes it easy to get around and makes for an exciting introduction. To find the Main or Central station, look for HBF or Hauptbahnhof in Germany, Centraal station in the Netherlands, and Centrale in Belgium. Riding to your next destination by train is a great time to catch a cat-nap, review photos, even make new friends and share tips with fellow travelers.